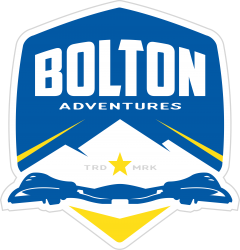 Welcome to my latest project, Bolton Adventures. Over the past few years, I’ve really taken a liking to dual sport riding and have recently been doing some exploring in my spare time. Since moving to the Morgantown, WV area from my home state of North Carolina in 2014, I’ve come to learn some great backroads, dirt roads and more. Many of these are excellent dual sport roads and a few of them access some incredible views. With this new project, I hope to share some of these adventures with the world moving forward. Bull Run/Jenkinsburg Bridge over Blue Hole on the Cheat River just outside Masontown, WV. Another goal down the road is to expose some folks to these exact adventures and let them tag along. The plan would be to have a few different options including single day or multi-day guided tours of some of the best backroads that West Virginia has to offer. This is still a very tentative idea as I’m currently exploring the legalities of leading these types of rides on public roads, but hope this is something I can offer in the future. In the meantime, if you ever want to tag along on a ride, just drop me a line at bolton@gnccracing.com and we’ll see if we can make a plan! There are a few routes I currently ride. One is a loop that leads out of Morgantown, to Masontown, WV then through some dirt back roads eventually leading into Pennsylvania and coming back to Morgantown passing the historic High Point Raceway in Mount Morris, PA. Depending on the exact route (there are a few variations) stops, and return trip, this is typically around 70 miles and takes about four hours to complete. Another route leaves from Morgantown and heads south, hitting backroads and one little stretch of Highway 50, before dropping to more backroads leading to Blackwater Falls State Park, around Canaan Loop Road, then back into Davis, West Virginia. I like to call this the “Blackwater Loop” as not only does it visit the Blackwater Falls State Park, but it will also get you close to the site of the old Blackwater 100. Of course, this route stays entirely on legal public roads as the old Blackwater course is inaccessible to off-road vehicles. 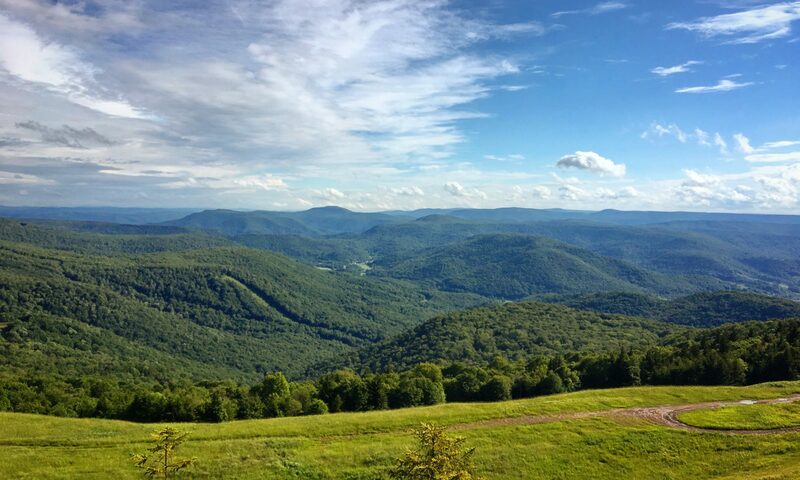 The third route I’ve ridden will take you from Morgantown to the Snowshoe Mountain Resort then from Snowshoe to Davis, West Virginia and back to Morgantown. This is a long, two-day ride with an overnight stay at Snowshoe but there’s a lot to explore in that area and the ride is loads of fun. Before offering these rides to the public, I’d like to work on adjusting them correctly. As they currently stand, the routes I have mapped need a few tweaks in places as some roads mapped are no longer in use and make for a difficult re-routing at times. Like I mentioned earlier, the master plan is to one day offer up occasional tours on these routes because I think they’re enough fun and have enough nice views that its something the weekend warrior dual sport rider would enjoy. Check back soon to read up on some of the latest stories as I hope to make this a good information hub on some dual sport adventures that you may be interested in trying for yourself!